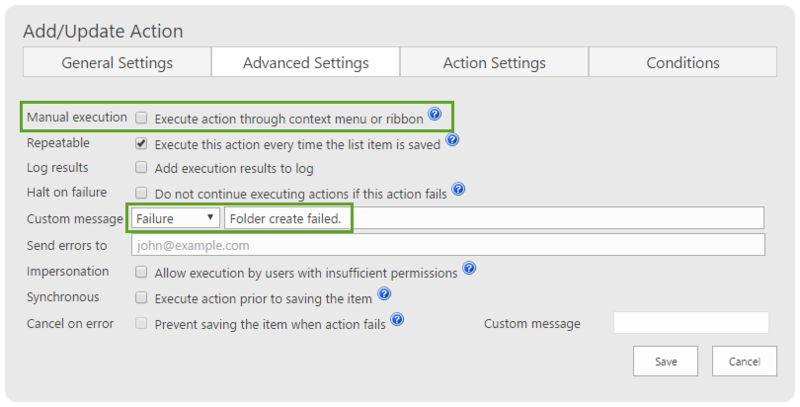 You can create new records in lists based on triggers defined in Smart Actions Rules. In this example, we will create some default folders for management of Purchase Orders related to each project. Smart Actions can be used to trigger events that are normally executed by users. Use this action type with other action types to automate repetive work that would otherwise be done manually. 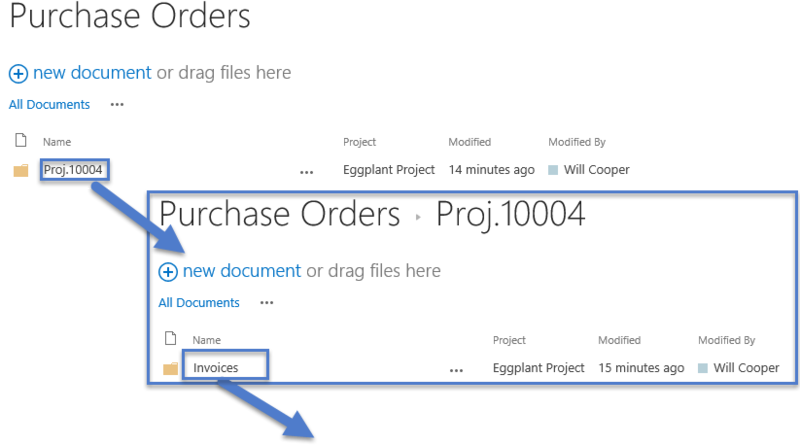 Create a new Purchase Orders document library. Add a new text Project field. Add a Proj ID field and set this to auto generate using Infowise Item ID settings for the field. Modify the default all items view to show the field. Create a Create list item Smart Action to be triggered on New (not edit). Hide the action from the user and enter a message in case there is an error. Set the Content Type as folder. Set the Name and Project values to the corresponding library fields. 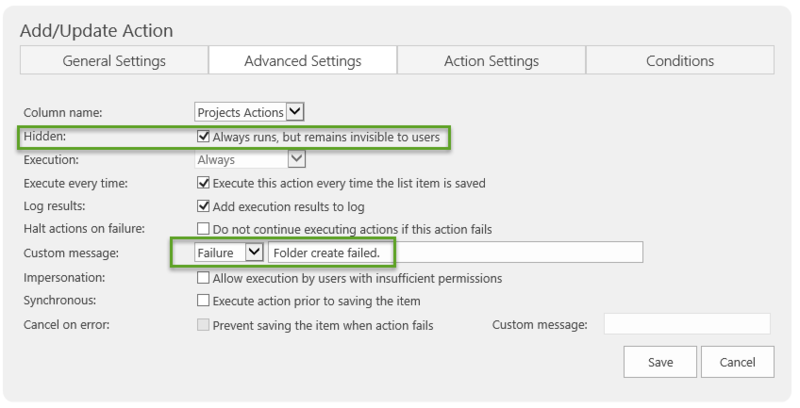 Create a new action following the same pattern to create a sub-folder underneath the project folder. The Name field is used to designate a sub-folder heirachy using a "/" character. Test out the functionality. Notice that you can click on the Name field to navigate down through sub-folders. This is an alternative approach to document management that can be used as an alternative or in conjunction with an associated items document library. Additionally, it will help to provide the user a link in the interface that will take them directly to the relevant folder. One advantage to this architecture is that users have the ability to browser the library for documents by project without needing to access the individual project list items.